The FlashPro allows datalogging and limited tuning for your 2004-2014 TSX. 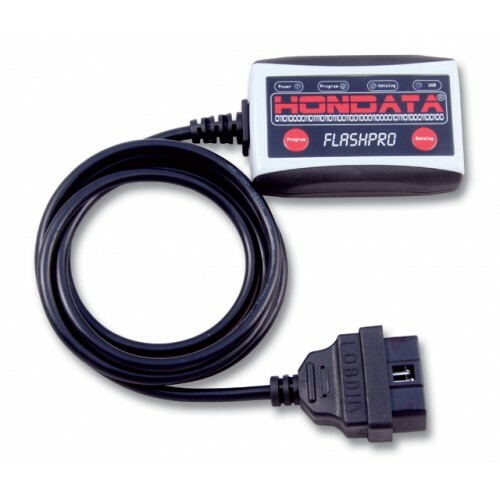 It includes Windows based software called FlashProManager.The FlashPro connects from your laptop's USB port to your vehicles diagnostic port. 2004-2006 TSXs require a 2007-2008 ECU and adapter cable. California emissions compliant (CARB EO D-742-1), which allows this product to be used on street vehicles within the USA. This FlashPro allows limited tuning or preset calibrations. For competition vehicles we recommend the FP-TSX-US FlashPro as that FlashPro allows full tuning.